Host Cyrus Webb welcomes author Mike Pizzi to #ConversationsLIVE to discuss his time in law enforcement and what it was like to reflect on it and share his story in the new book ADAPT AND OVERCOME. There are so many things going on in the world that it is easy to feel as though there is no way we can win against the challenges we face. Thankfully there are examples all around us to remind us that giving up is not an option. If we want to enjoy better days and see things turn around we have to fight. 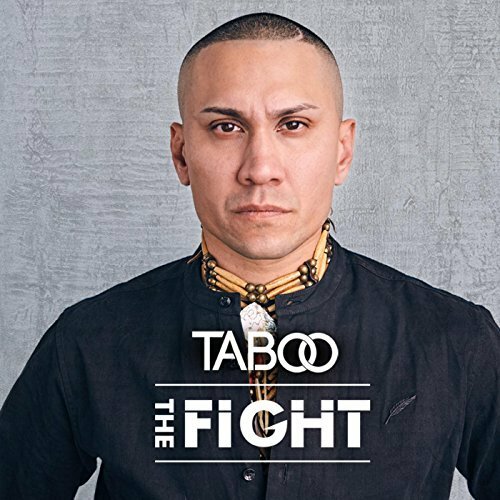 That is just one of the messages that Grammy Award-winning artist Taboo of the Black Eyed Peas shares in his new single THE FIGHT. We know Taboo for the music, but this year he let the world into his very personal fight with cancer and his partnership with the American Cancer Society. A true survivor, the single THE FIGHT is all about moving forward and being a fighter, no matter what we face. "I'm a warrior. I'm a champion. I'm a fighter," the song proclaims. "I'm not giving in, so bring it on I'm ready for the fight." The single reminds us that we are all in this thing called life together and if we don't give up and keep the faith---and don't forget to love one another--- "Everything's gonna be alright." Taboo's passion for making a difference goes way beyond just music. By teaming up with the American Cancer Society he is also promoting healthy living and raising funds for their work. In fact for every download of the song THE FIGHT through Amazon.com and other online retailers through December 2017, the American Cancer Society will receive approximately 70% of the purchase price. By sharing of his time and resources Taboo is doing his part to make a difference, so the questions are then put to us in THE FIGHT: "What if you were told that today was the last day of your life? Did you live it right?" We are then given this reminder that should serve us well: "Love is a gift you give away, and it re-ignites. Don't wait," the song urges. "Don't let it pass you by." May we all be inspired to do our part to make a difference, and it all begins today. Stay connected with Taboo's journey on Twitter here. 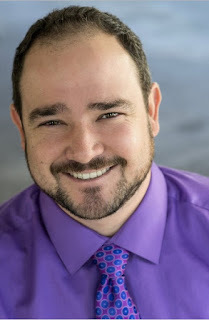 In 2015 singer and songwriter Brandon Maddox released his album LIVING ON SUNSHINE, and during this year he has still been on top of the world sharing his love of music with the world, especially using the internet. "It's been really cool with Facebook Live to connect with people around the world," he told me during our recent conversation on the radio. "It's been a great tool to reach everybody." During college Brandon realized that music was his true love. Having written songs for 15 years he used that base of music to spur him on. It was a gradual thing, but he realized that was the path he wanted to follow. "I look back and I believe this is where I'm supposed to be in life," he says. What helped Brandon Maddox stay focused? He says he's naturally stubborn, but something else worked in his favor: believing in himself. "You got to believe in yourself in this business," he says. He has also met people along the way that saw his talent and believed in him as well. He's known for books such as SHE'S COME UNDONE and I KNOW THIS MUCH IS TRUE. 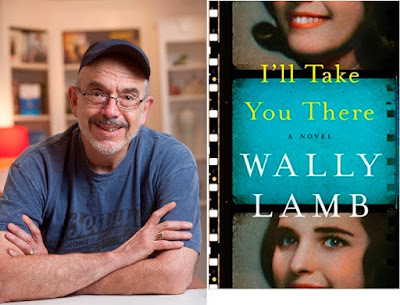 Now bestselling author Wally Lamb is back with I'LL TAKE YOU THERE---and he stops by #ConversationsLIVE to discuss it and his literary journey with host Cyrus Webb. "You put a writer in front of a computer and you'll be surprised at how much comes up," Wally said during the conversation. 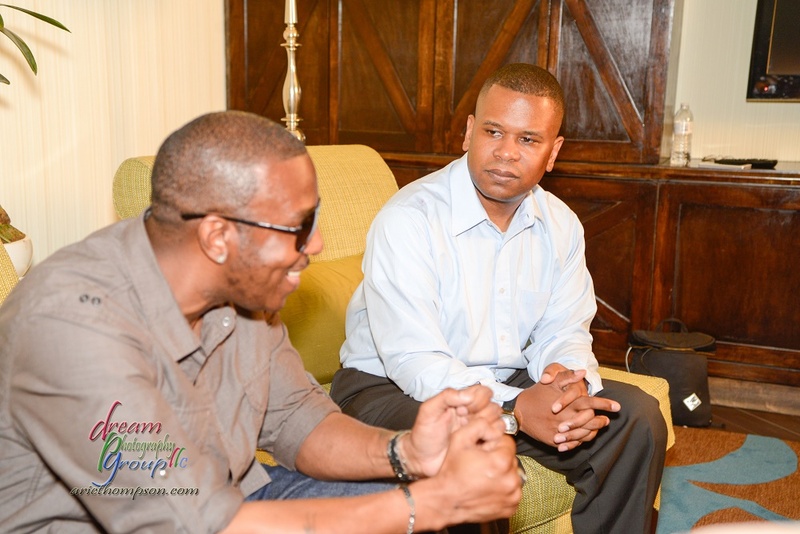 In discussing the new book and his own journey as a storyteller he went on to shed light on how the book came about. "I'm at this stage in my life where I enjoy looking back and trying to figure it all out," he told Webb. He also says the book "reflects my admiration for women in my own life and women in general." 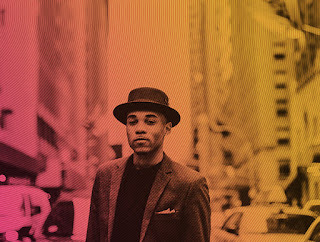 In discussing his own success, Wally talked about the relatability of his characters. "I think the thing that connects me to all the characters is that we are imperfect people trying to figure out how to be better people. We're all works in progress. If you're not stretching and growing then you're stagnated." 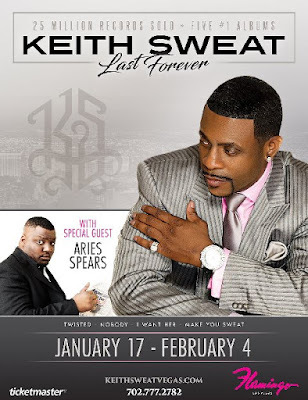 Conversations is excited to share that Platinum-selling R&B singer, Keith Sweat will perform a limited engagement in the Donny & Marie Showroom at Flamingo Las Vegas with a unique Vegas show, "Keith Sweat: Last Forever," Jan. 17 through Feb. 4, 2017. Two Rs Entertainment reports that in celebration of the 30th anniversary of Keith's triple-platinum album, Make It Last Forever, fans can anticipate to hear a variety of his notable hits including "I Want Her," "Twisted" and "Nobody." Joining the famed singer-songwriter on the Las Vegas stage will be stand-up comedian and long-serving MADtv cast member, Aries Spears. "We look forward to welcoming Keith Sweat to the iconic stage at Flamingo Las Vegas," said Damian Costa, Caesars Entertainment vice president of entertainment operations. "Keith's addition to our top-notch entertainment lineup continues to highlight Caesars Entertainment resorts as a premier destination for live entertainment in Las Vegas and around the world." Tickets will on sale to the public Wednesday, Nov. 23 at 10 a.m. PT. A special presale will be held for Total Rewards members, the loyalty program of Planet Hollywood's parent company Caesars Entertainment, beginning TODAY at 8 a.m. PT through Tuesday, Nov. 22 at 10 p.m. PT. Ticket prices begin at $59, plus applicable tax and fees. VIP seats including a meet and greet with Keith Sweat are also available. Tickets are available at any Las Vegas Caesars Entertainment Box Office, by phone at (702) 777-2782 or by visiting www.keithsweatvegas.com. All shows begin at 7:30 p.m.
Find out more about Keith Sweat's stint in Vegas at www.KeithSweatVegas.com. To see what else is going on with Keith visit his official website www.KeithSweat.com. As early as the age of five, recording artist Taye Johnson knew that music was going to be his voice that the world got to know. Now he has been able to see that fulfillment in his live performances and in the music he has released for the world to hear. He stopped by Conversations LIVE to talk with host Cyrus Webb about the musical journey, the year that has been 2016 and what's to come. "This year has been a bit of a rollercoaster," Taye said to Webb during the conversation. "I'm a professionalist. Sometimes it's hard for me to stop...so it's been a bit of a challenge. I want everything to be perfect for the people." When it comes to what sets him apart, Taye says it's definitely the fact that he is willing to take risks musically. "That's really big for most artist," he said to Webb. "No artist wants to be boxed in, so it's important that we get to be as creative as we want, as expressive as we want. That's what creative people do. I love all types of music," he adds. "I want everyone to be able to take something away from my music." Stay connected with Taye at www.tayejohnson.com. Many got to know recording artist Jason Little from Keith Sweat's R&B group Ol' Skool, but over the past few years he has been able to make his presence known as a solo artist able to do music that he believes in. I've had the opportunity to converse with him on Conversations LIVE the radio show and in 2015 we sat down to tape an episode of Cyrus Webb Presents the web-series while I was in Atlanta. At the time he has just released his single LET ME KNOW. Fast forward almost a year later and Jason has released his single called HEARTBREAK. For those who have heard the song it is definitely a departure from his usual music. "It was my writing partner Teah Harper's concept," he told me during a recent conversation. "By her knowing me over the years and knowing situations I've been through she had a lot of ideas for it." If you heard LET ME KNOW where the song is wondering whether their significant other is cheating, then HEARTBREAK might be seen as the response to that. "I've been in that situation," Jason says. "I've been that guy where the female didn't return the love that I gave her. The song basically says the way you're doing me I hope someone does you the same way." Influenced by artists like Charlie Wilson, Tyrese, Tank and Jagged Edge, Jason says their examples help him to be brave enough to be himself as an artist and not care what people think. "We live in an age where it seems unacceptable to be soulful," he told me. "I'm trying to do my part to preserve the soul of R&B." The risks he seem to be taking in his career, though not easy, seem to be paying off. "It's very rewarding to be able to sing and touch people and to bring the realness to R&B music," Jason said to me in our interview. "Everything about music I love." That love definitely comes through, and that is why is fans continue to support him. Though he says its a challenge sometimes as an independent artist to break through, Jason is committed to staying true to the craft and himself as he gives all that he has to the fans through songs. Get HEARTBREAK on Amazon here. Stay connected with Jason on Twitter at www.twitter.com/iamjasonlittle and on Facebook at www.facebook.com/TheRealJasonLittle. Catch up with other music by Jason on Souncloud at www.soundcloud.com/littlejsings. Recording artist The Silent Celeb stopped by #ConversationsLIVE radio show recently to talk with host Cyrus Webb about the year that has been 2016 for her and what it's been like to see the response to her EP The Silent Celebrity Project. "It was a chance on luck," The Silent Celeb says about the project. After working with her team in whittling down 16 tracks to the 6 that made it to the project she says "We walked out blindly, and when I opened my eyes it's been a round of applause." #ConversationsLIVE host Cyrus Webb recently welcomed singer/songwriter Christine Saade' to the show to discuss the year that has been 2016 for her and what it's been like to share her love of music with others. "It's nice to see that hard work pays off," says Christine, "and that the wait was worth it. I love what I do. I'm glad I can share it with everyone." The two also discuss what it's been like to share the journey using social media with her fans as well as how she has used her life as an example of why it's important not to allow fear to stop you when pursuing your goals and dreams. Christine talked with Cyrus about her single GET TOGETHER feat. 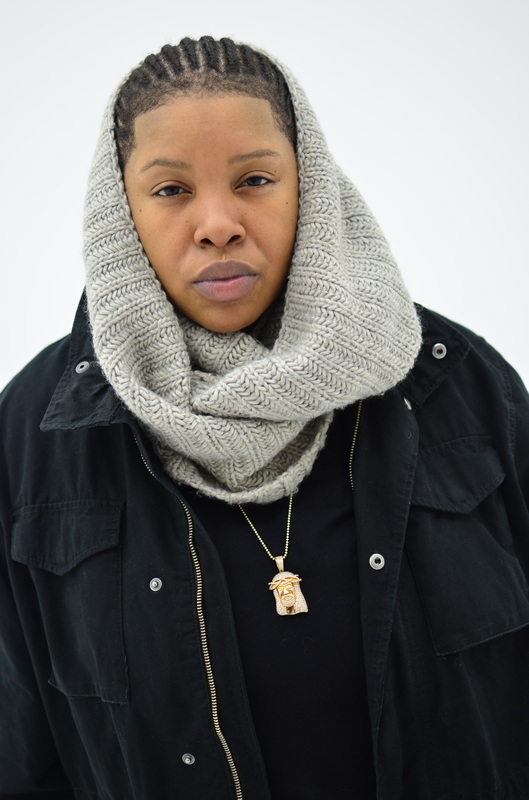 DJ Twisted Dee and let listeners know how they can stay connected with her and what's to come. Stay connected with Christine on Twitter and Instagram. If you are like me and just discovering the artist known as The Silent Celeb consider yourself fortunate that you don't have to end the year without experiencing her lyrical gift. Through THE SILENT CELEBRITY PROJECT we are introduced to an artist that is able to express herself in a way that allows you to just press play on her Soundcloud page and just let the music take it from there. 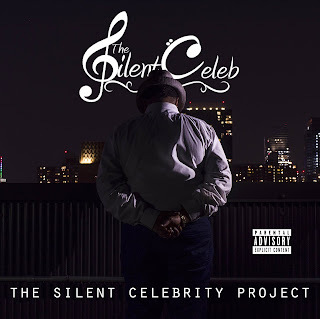 The Silent Celeb has a real talent, and we know that with so many artists being recognized for their showmanship and bravado rather than their actual ability to deliver great music that is a rarity that lovers of good music will appreciate it. Whether it is through the single FUNNY where she makes it clear she doesn't like to share those she loves. "'Til I get some time with you," she sings, "nothing else will ever do." In QUOTE ME The Silent Celeb opens up about her feelings even more. "They don't make them like you no more...I'm not sure what this feeling is,"she confesses, "but I like the way this feeling feels." Though all six tracks are worth a listen, my favorite on the project is definitely GOOD MUSIC. For anyone who has ever felt as though their particular talent or gift is not enough, this song is for you. In a mixture of spoken word and song The Silent Celeb delivers a lyrical indictment on the industry that she is a part of. In a stirring spoken word bridge by DaRuddestJones the single asks these questions that all of us can ponder: "Am I supposed to look in the mirror and not know the person looking back at me? Am I supposed to conform, or am I supposed to strive against the grain so people can see the real me? Is my talent less than the best because you don't like what you see when you look at me? Why do we place stipulations on self-worth? Why can't you look at me and love me for my own individuality?" At the end of the day the single GOOD MUSIC relays something we can all relate to: "I just want to be great. I just...want to be... great." From track to track The Silent Celeb lets her voice be heard in this project, and we can be sure this is only a taste of what's to come. Stay connected with The Silent Celeb on Facebook, Twitter and Instagram. You can purchase the project on Tidal. Actor Bradley Pierce returned to #ConversationsLIVE the radio show to talk with host Cyrus Webb about the year that has been 2016 for him, what it's been like to reflect on his career and what's to come. Over his career Pierce has been seen in commercials, television, movies and even videos. He talked with Webb about his enjoyment of working in front of the camera and behind the camera. "There are moments when it feels surreal," he said during the conversation. "I try very hard to realize how blessed I am to have experiences like this." When discussing what keeps it's exciting for him, Pierce told Webb: "I really do enjoy being able to be these characters and bring joy to so many people. To be able to be a part of that and affect people's lives in a positive way is beautiful." 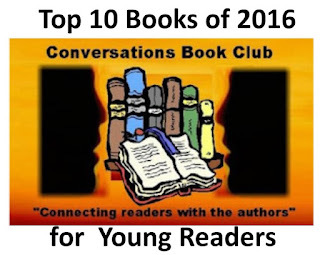 Conversations Book Club President Cyrus Webb has been a fan of books since he was a young child, spending most of his life with characters and stories that he found between their covers. As adult he has championed the arts and the important of literacy in his home state of Mississippi and the South, and through the Conversations platform he has introduced the world to great authors and readers for over a decade. 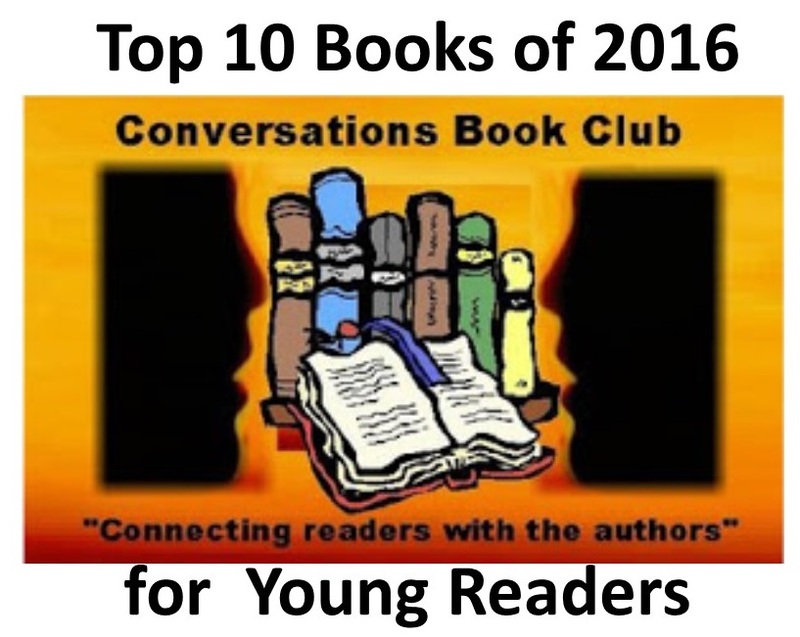 As the book club celebrates 10 years of sharing the importance of reading, Webb announces Conversations' Top 10 Books for young Readers/Teens of 2016. 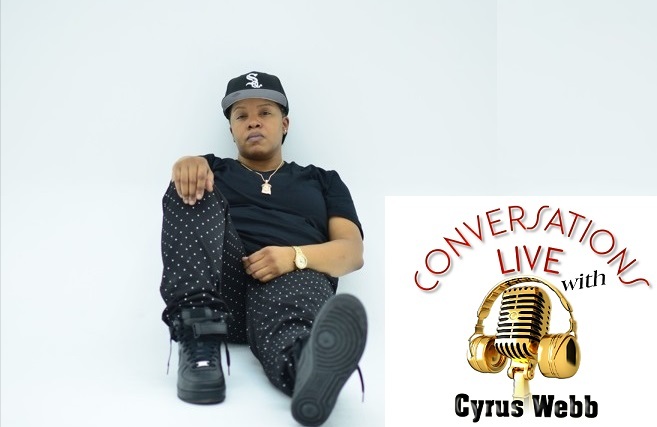 Listen in at #ConversationsLIVE host Cyrus Webb talks with model Tyrell Ware about his journey to doing what he loves and what it's been like to use the social media platform Instagram to share it with the world. The two also discuss how he stays focused and how his idea of what success is for him has changed. In celebration of drawing over 10,000 soul and R&B music lovers, from all over the U.S, to the largest annual Soul Music Festival in the SE region, the producers of the ATL Soul Life Music Festival are expanding on that successful concept. The 22-city NuSoul Revival Tour is boasting a lineup of some of the genres’ finest who have been quite busy in 2016. The tour will be headlined by Musiq Soulchild who enjoyed a productive 2016, including his seventh studio album, Life on Earth entering the US Billboard 200 at #27, his single "I Do" reaching #3 on Billboard Top R&B/Hip-Hop Albums, and his performing in the highly anticipated musical adaptation of the cult classic, Love Jones. He will be joined by platinum-selling R&B and soul singer-songwriter, Lyfe Jennings; beloved Grammy Nominated “First Couple of Soul”, Kindred the Family Soul and multi-award winning artist Avery*Sunshine. Appearing on the tour, in select cities, are Grammy Award-Winning singer-songwriter Chrisette Michele, Grammy Nominated singer-songwriter and record producer Dwele, and Grammy Nominated group, The Foreign Exchange. The NuSoul Revival Tour seeks to send the message that “Good Music Still Lives" while continuing to support artists whose music is the soundtrack of our lives. Along with promoting the NuSoul Revival Tour and the amazing line-up, the artists and those supporting the tour will be using their platform to raise awareness about Alzheimer’s disease which affects over five million individuals in the United States, including the lives of some of those involved in the tour. I first became aware of award-winning author/ Executive Producer (and one of Conversations' 25 Women Changing the World in 2016) Iris Bolling in 2013. She was on Conversations LIVE discussing her book The Pendleton Rule, and it was during that visit that she initially discussed The Heart series with me. Fast forward to 2016, and now the books that make up the Heart Series are the basis for the television series The Heart that premiered on the CW in Richmond, VA in Feb. of 2014 and is currently showing its second season both on television as well as online. Serving as the Creator and Executive Director of the television show, Iris Bolling has assembled a team that has not only helped bring her beloved books to life but are just as invested in its success. 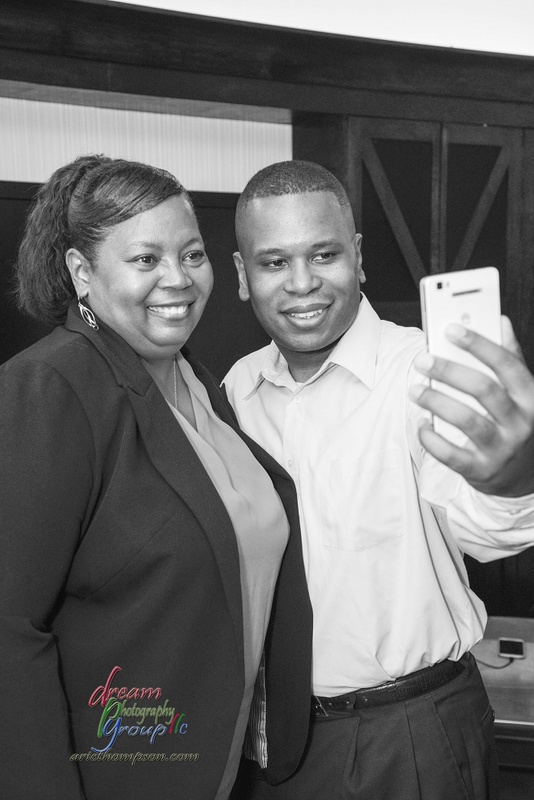 In 2015 when I announced I was traveling to Atlanta to tape episodes for my new show Cyrus Webb Presents, Iris took time out of her busy schedule to drive to the city to be a part of the taping. It was special not just because she was so supportive of the event but because it was the first time we met face-to-face. Ever gracious---even though she prefers to be behind the camera---we were able to talk about the journey that led her to where she is today. "I still pinch myself," she told me when we began discussing the experience of the books being successful, followed by the response to the show. "First it's actually getting the books done, and they being so well received. Then doing the television series and have it received very well...I still pinch just to make sure it's still happening." From the first time I met her, it was obvious why Iris Bolling is so successful: she is genuine and takes a real interest in her fans and is admired by other authors as well. "I enjoy people," she told me. "I do think I give them good stories and they fall in love with the characters, and then they want to know who created them. I'm very appreciative because readers have a choice. I'm very fortunate for some reason they have chosen my work. I let them know how much I appreciate that." The other thing about Iris that is appreciated by readers is that no matter what color the characters might be in her books, she is not penning stories that will relate to just one group of people. "I write stories about life," she says. "Everyone can relate to that, regardless of what status you are in life. I think they can see themselves in the characters or in the stories. I don't think stories are going to happen to this class of people or this race of people. I think stories happen to people. That's what I write about." Whether you are just discovering the literary gift that is Iris Bolling or have been a fan for some time, she is one storyteller that proves when you work hard and give your all to the craft the audience will come. It is no wonder that she is not just changing the world, but showing by example what it means to lead with class, integrity and dignity. Stay connected with Iris and Season Two of The Heart series at www.irisbolling.net. For the third straight year Conversations Magazine’s Editor-In-Chief Cyrus Webb is proud to recognize “25 Women Changing the World”, individuals who are excelling in various areas of the life and using their gifts to inspire others. “This year’s roster is just as diverse as our previous lists,” says Webb, who decided in 2014 to begin recognizing women who had international platforms as well as those rising stars that were making a difference. This year's logo for the honor was created by 2015 honoree Talamieka Brice of Brice Media.